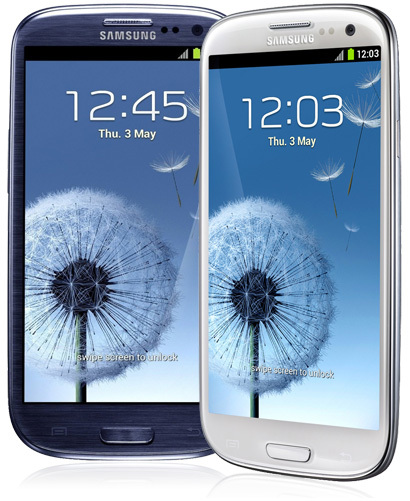 Samsung Galaxy S3 Deals | Cheapest S3 Prices Online! "Inspired by nature, the Samsung Galaxy S3"
Where most smartphones react to your commands, the Samsung Galaxy SIII mobile phone pushes technology by understanding you with remarkable sophistication. With Smart Stay, the Galaxy SIII knows to maintain a bright screen whilst you view the 4.8 inch Super AMOLED HD display. With S-Voice, the Galaxy SIII is waiting to be alerted by the sound of you. Encased within a smooth pebble shaped design, the Samsung Galaxy SIII was made to fit into your hand naturally. Designed for humans, inspired by nature, the Galaxy SIII is Samsung's flagship smartphone for 2012. Bad news. We no longer range the Galaxy S3. Don't worry, we have a huge range of Samsung phones at prices you'll love. The Next Samsung Galaxy has arrived. Watch the video to see the Samsung Galaxy features come to life. All the latest smartphone releases and video reviews can be found on our YouTube channel. Hit subscribe for updates on the major phone releases.